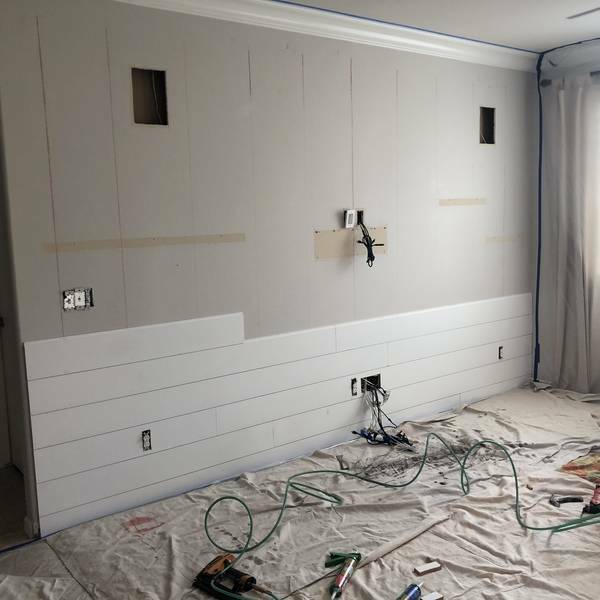 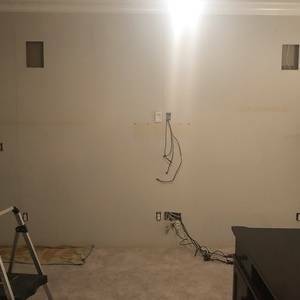 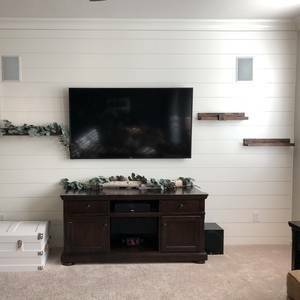 Did a 13 x 10 shiplap Wall with three floating staind shelves. 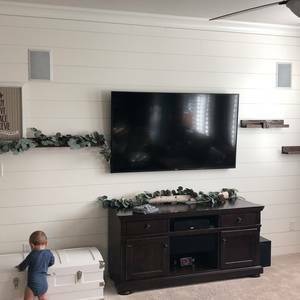 Used various Ryobi tools such as miter saw, tablesaw, and nailers. Beautiful job! It adds so much to the space. Thank you for sharing!